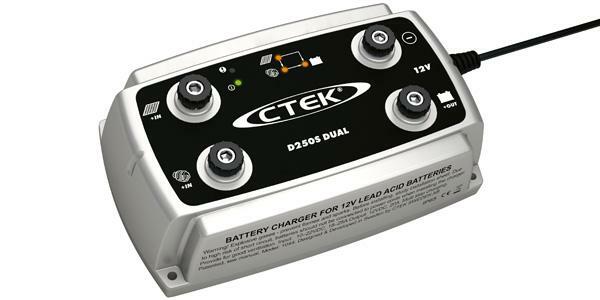 The CTEK Charger, D250S DUAL (Part No. 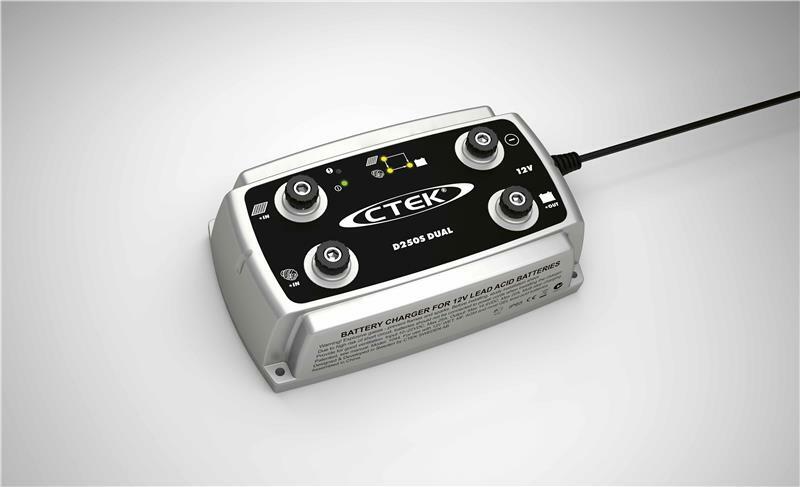 56-677) charger obtains its energy from DC sources such as alternators, solar panels or wind power and optimises this power to meet the charging requirements of different battery banks. The D250S DUAL automatically selects the best connected DC energy source (of 2) for the purpose and switches between these energy sources to achieve high efficiency multi-stage charging. The D250S DUAL is particularly suitable for charging vehicles that do not have access to grid power supplies. Perfect for boats with one battery, boats with start & service battery, boats with start & service bank, caravan, and truck.